Hurix Systems Pvt. 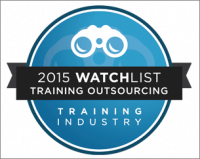 Ltd., a leading provider of learning technology solutions was recently awarded, “The leading training outsourcing company” by the Training Industry Inc.’s Outsourcing Companies Watch List for 2015. 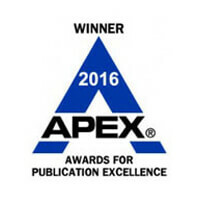 Hurix’s win was announced on April 13,2015. 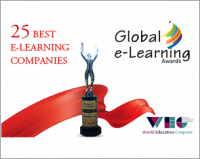 Hurix, one of the world’s leading digital content solutions providers, wins ’25 Best E-learning Companies’ recognition from World Education Congress for innovations in“Technology Enhanced Learning” . The Global E-Learning Awards by World Education Congress held on 28th June 2013 at Taj Lands End, Mumbai recognizes the most successful and innovative applications to the delivery of Education and Training. Hurix will feature the latest release of KITABOO Cloud at the 2014 London Book Fair to be held in Earls Court from 8th -10th of April. With the mass adoption of tablets in schools and institutions, eBooks and eBook readers have a powerful role to play in helping instructors and learners flip the classroom experience. Hurix launched a major new feature to its market leading KITABOO® Digital Publishing Platform, that fully automates the conversion of PDFs books and documents to fixed layout ePub3 output. “Educational and trade publishers are increasingly focused on fixed layout ePub3 as an open industry format for creating rich, interactive eBooks to their students and readers. However, historically it has not been economically viable to produce fixed layout eBooks given the high production costs due to the complexities involved in the conversion”, said Sri Subramanian, EVP Sales and Product Solutions, Hurix Systems.